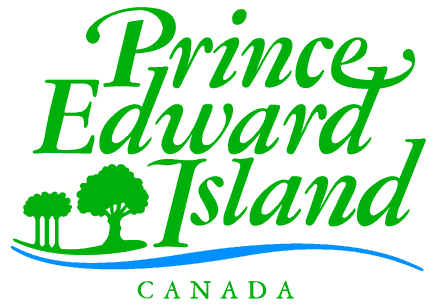 The relatively low cost of living in Prince Edward Island (PEI) makes it easy for average families in the province to afford a comfortable life. Although the face value of insurance coverage in PEI is lower than that of most other provinces, the relative costs are the same. Even with the relatively low rate, you don’t want to spend money unnecessarily on insurance. Call Insurdinary today to get the best quotes on Prince Edward Island life insurance coverage suitable for your needs and budgets. Our services at Insurdinary are designed to make life easier for you. This is why we compile insurance quotes from some of the best insurance providers in the province. With the compiled list, you can easily compare and choose the best options for you. The cost of Prince Edward Island life insurance coverage should not be too high and with our service, you can get the best services at the most competitive price. Although life insurance coverage is not mandatory in Prince Edward Island, you definitely need such coverage if you have a family and/or dependents. With the cost of everything from groceries to gas going high, you don’t want to leave your family in a financial mud in the event of your death. With our expert advice and services, you can get the most affordable Prince Edward Island life insurance coverage. We will connect you to insurance advisors who will guide you through the processes and answer any question you might have with respect to life insurance in the province. We are only a call away from you and we guarantee the best result and services. At Insurdinary, we work with the best and renowned life insurance providers in PEI and Canada in general. We can help you get the most competitive quotes at a highly affordable price. Our services will make it easy for you to compare and save. To learn more about life insurance in Prince Edward Island click here. One of the most important steps you need to take to get the best Prince Edward life insurance plan is comparing life insurance policy options available in the province. Several life insurance providers in PEI provide a number of policy options. Some of the policy options could be suitable for you but some are not. You need to compare the available options in order to choose what is best for you. Comparing policy options could be a very difficult task. Sometimes, you may end up comparing completely different items. Instead of spending all the time to compare insurance quotes, you can call Insurdinary to get the best insurance service for your insurance needs. We will connect you to insurance advisors who will guide you through the difficult process and help you to choose the perfect coverage for you. We work with some of the best insurance providers in Canada and can provide you with the most competitive quotes and advice. The insurance advisors have compiled insurance quotes from a lot of insurance providers in Prince Edward Island and can assist you in choosing the most appropriate quote and coverage that would meet your unique needs and budget. Call Insurdinary for a competitive price and the best quotes. To get a life insurance quote click here. Prince Edward Island Life Insurance News Recently, Peter and Karen MacDonald donated $250,000 life insurance policy to the Queen Elizabeth Hospital Foundation (QEH). The couple decided to give back to the province after successfully operating in Summerside for several years and purchasing Fair Isle Ford in Charlottetown and Montague. Owing to the couple’s role in the Queen Elizabeth Hospital Foundation, they knew the importance of state-of-the-art medical equipment in diagnosing and treating illness. The knowledge helped their decision to denote the life insurance policy to the hospital. MacDonald stated that they have a deep admiration for health care in PEI. He pointed out that QEH is the best place for their gift since it is the Island’s major referral hospital and more than 1,000 people receive care in the hospital each day. Moreover, Peter and Karen MacDonald names will be added to the Major Benefactors giving level on the QEH Foundation donor wall situated in QEH main lobby. This is done in recognition of the generous gift. To learn more about Prince Edward Island life insurance issues, click here. Prince Edward Island Insurance Regulatory Body The Office of the Superintendent of Insurance is in charge of regulating insurance business in Prince Edward Island. The Superintendent requires all agents, insurers, and adjusters in the province to be licensed under the Insurance Act. The Superintendent regulates various kinds of insurance coverage including general insurance as well as life and health insurance. To learn more about Prince Edward Island insurance regulatory body click here.